Feeling cold and Stiff this Winter? This program is designed to help participants decrease pain and improve active, usable ranges of motion, it will more importantly broaden and level the foundation of your physical abilities. The course will cover all primary joints over six weeks; this includes the entire spine, shoulders, hips, elbows, knees, wrists, and ankles. We will learn how to simply and quickly self-assess deficiencies, while using scientific strategies to create strong, mobile joints as the foundation of movement. The fact is, most of us come into the gym from a myriad of daily routines. Whether you work in construction, finance, education, agriculture/farming, hospitality, medical, first responder, homemaker, or any of the other wide range of professionals that make up our membership - hardly anyone moves as much or in the same ways in which humans evolved. We no longer experience the same stresses that have shaped our evolution over the last 9,000 years. Humans evolved as a hunter-gatherer species, often ranging far and wide with the migration of animal populations and seasonal vegetation that sustained our survival. The physical nature of this existence is what stimulated our biological evolution; running, walking, climbing, throwing (we are the only species with the capacity to hurl a projectile accurately enough to be used as a weapon), not to mention the manual labor of constructing shelters and other daily chores (finding/hauling water, firewood, cooking, etc.). There was no sitting in chairs, no machines to lift or transport heavy objects, no Market of Choice to pick up a quick dinner. While it is true the Agricultural and Industrial Revolutions have also been key shifts in the routines and demands of daily life since the “Paleo-era”, the time since those changes marks less than 10% of the existence we humans have been evolving on this planet. The point of my historical tirade is this; just because our bodies have the physical ability to accomplish a task does not mean they are prepared to do so without negative consequences. I bring this point up because it is barely acknowledged and/or ignored in most of the current practices concerning physical wellness and health. Just because you can sit down and get up out of a chair does not mean you have the necessary capacity to load that position with a barbell on your back and squat to a box. Does this mean you shouldn’t squat at all? Absolutely not! But it does mean you might want to seriously consider ensuring that you know how to swim before jumping in the deep of the pool and hoping it works out. This program requires an open mind and willingness to engage in a new way of training. Our tools will be simple, with minimal weights and equipment - primarily a mat, some floor space, and the ability to concentrate and focus on small, fine-tuned details. It is not easy, in fact it is one of the most challenging practices I have come across in 20+ years of sport/physical training, but undoubtedly one of the most effective and rewarding. 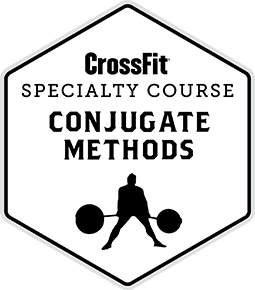 Lastly, this course is built with the intention of linking the improvements in mobility to movements commonly found in OC programming - gains in balance, power, and skill acquisition (coordination) in your squat, deadlift, pressing, Olympic lifting and gymnastic skills are all potential benefits of this programming. Space will be limited so reserve your spot today! Look for the sign-up under Specialty Courses in MindBody or click the link below. What do I need to bring/wear to class? A yoga mat/block if you have your own, and comfortable, layered workout attire (pants and or long-sleeve shirts are recommended on colder days). What ability level athlete is the course designed for? 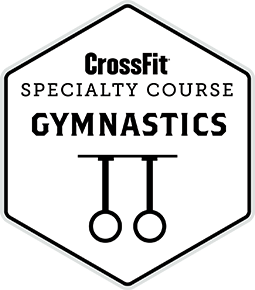 Whether you are a beginner or seasoned athlete, this course can benefit people of all skill levels and abilities. Similar protocols can be found from physical therapy clinics to professional sports teams; there is something to be learned for everyone.